Check out this fascinating trumpet-playing automaton that is featured on Cyberneticzoo.com. 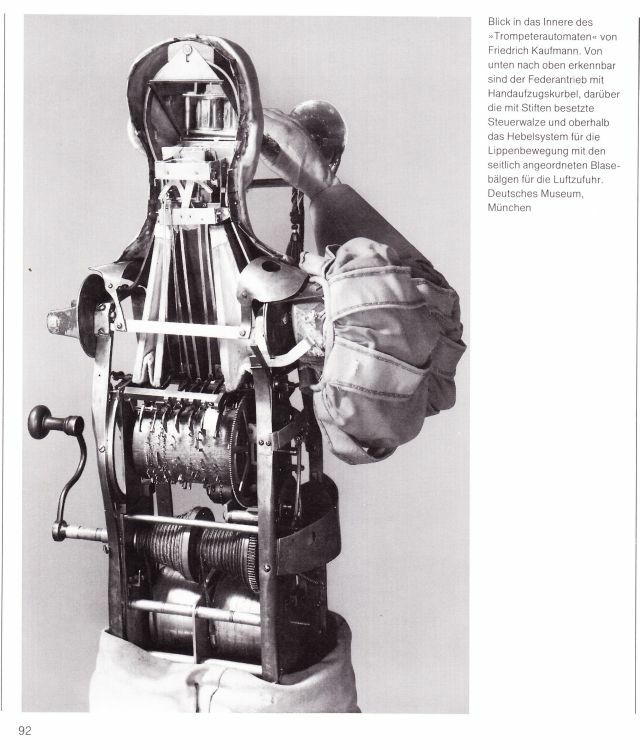 This life size clockwork-driven trumpeter was build by a German man named Freidrich Kaufmann in 1810. Check out more photos, drawings and history in the full blog article located here.